Staff from the Sandia Mountain Natural History Center (SMNHC) celebrated World Water Day with Governor Bent Elementary school on March 22. They worked to analyze local water quality through the EarthEcho Water Challenge. As recipients of an EarthEcho Water Challenge test kit donation, staff is equipped with the tools needed to collect critical water quality data while learning about their local waterways. Students from Governor Bent and students from Ms. Padilla’s 5th grade class tested water from the Mud Spring near the SMNHC. 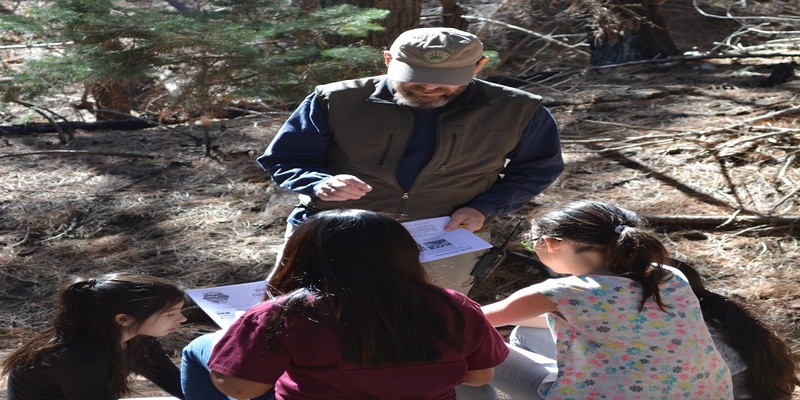 Volunteer, Michael Cox, led them on a nature hike, interpreting the natural surroundings to explain how all the parts of an ecosystem are connected. Using the outdoors, each program starts by teaching students about the inter-connectedness of the biotic and abiotic parts of an ecosystem with a hands-on scientific approach. Students were introduced to the local ecosystem, and producers, consumers, and decomposers that reside around the center, through a day of field exploration, scientific observation, and hands-on learning in the outdoors. All lessons and activities are aligned with the New Mexico State Science Standards, Next Generation Science Standards and the Common Core State Standards for 5th graders. Students from Ms. Padilla’s class had consistent results based on their water quality tests, finding that the water, although minimal, was clean and had good dissolved oxygen levels at 4 ppm; the turbidity of this natural spring was 0 JTU with a consistent pH of 7. SMNHC staff Fiana Shapiro and Vanessa Barela assisted students in gathering water from the small spring and in conducting tests with students drawing conclusions about the condition of the water and how human activity can impact the water source. The Mud Spring is one of two natural springs in the area, with the Sandia Mountains having 40 natural springs throughout the mountains. There is no documentation of the natural springs that are currently above ground and flowing versus those that have gone underground. Water in the Sandia Mountains is scarce, with the region relying mostly on snowfall throughout the winter to provide water for many wild animals. 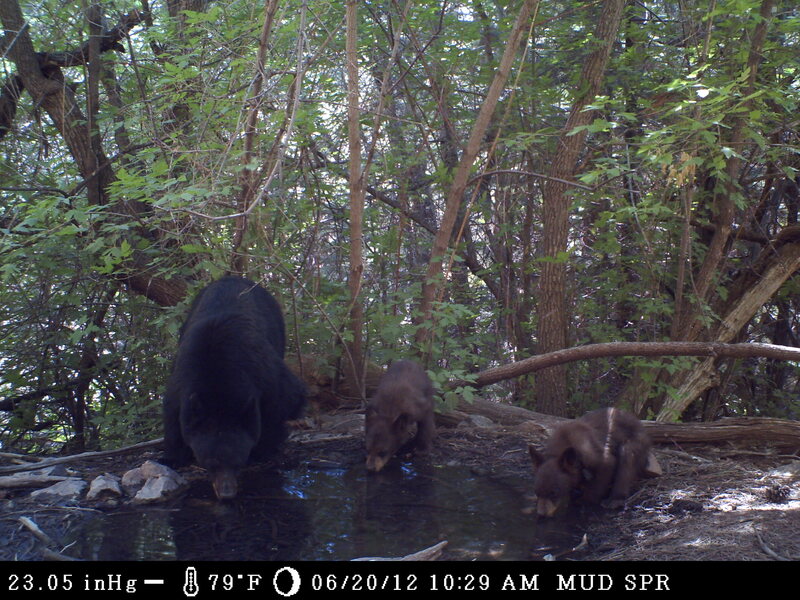 Mud Spring is frequently visited by black bears, cougars, fox, coyote, mule deer, and ringtails that live in the area. The SMNHC has wildlife cameras in the area to photograph animals that visit this spring for a water source and finds that many animals visit the spring regularly and also visit the nearby Paradise Spring, which has been underground since spring of 2012. Water in Paradise Spring is measureable underground, but the water is no longer permeating the ground layer. Animals within the Sandias visit this spring frequently. This World Water Day event will help inform the staff of SMNHC when teaching about the Sandia Watershed and helping increase student awareness of the scarcity of water throughout the mountains. Editor's Note: We are proud to support the work of the Sandia Mountain Natural History Center as an EarthEcho Water Challenge test kit donation recipient to aid in their work to education young water and environmental stewards.